Where It Stops, Nobody Knows… | Hapa...Shot the Food! The other day, I posted an entry on the other blog which prompted quite a few questions on my side. The next strongest brew I’ve had was Victory’s Old Horizontal Barleywine (it wasn’t really up my alley); the remaining brews didn’t break the 10% mark (mainly doppelbocks like the one pictured, and Belgian dark ales like Delirium Nocturnum). I’ll give BrewDog’s assertion that their other beers have done well on Beer Advocate and look forward to trying them should they come by the way of the Village Pump. It still begs the question: what about the taste of a beer with more than half of its content (or more) being alcohol? Would it be even sweeter than I remember 120 Minute being, or would it be heavy on the alcohol in taste… Would it be some combination of the two, or nether? I guess it requires the palate of someone who likes whisky/scotch (or maybe even sherry/cognac) to truly be up someone’s alley, but I’ll never know on this particular brew. The beer sold out (not that I would have been able to afford it). Posted on July 27, 2010, in Uncategorized and tagged beer. Bookmark the permalink. 1 Comment. Well, technically there is a limit. Eventually, the alcohol kills all the yeast, and with it the fermentation. Sam Adams and a couple of other breweries have developed secret, proprietary “superyeasts” that allow beer to ferment above a certain alcohol level. Whether or not you would call it beer after that is a matter of debate. 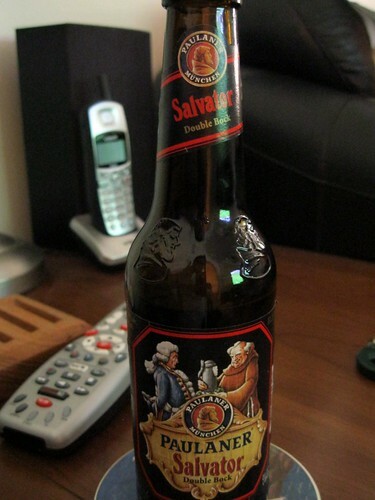 I think that The Sam Adams Millenium Beer, which had something like a 40%abv, was more like a Cognac. So I heard. I can’t spring for a several-hundred-dollar bottle of hooch.